Dog Treats – Dog treats are a must as it keeps the canine motivated to learn well and be obedient. This is a form of positive training and as they are easy to get, they are an essential for every dog trainer. Treat Dispensing Pouch – The place where you will store the dog treat before dispensing it is as important as the treat itself. It should be handy where you can easily access it when needed. It should also be portable so that you can carry it with you at all times. And these treat pouches will keep your clothes clean too. Another advantage of having a treat pouch is that your dog identifies it as the object from which the treat is dispensed and behaves accordingly. Treat Dispenser Toys – Treats not only include eatables for your dog but also toys that dogs seem to love. It lets them work their teeth and chew whatever toy is offered to them. You can also fill some of the toys with the dogs’ favorite treats and offer them. They will keep them happy and they will work with you for a longer time. 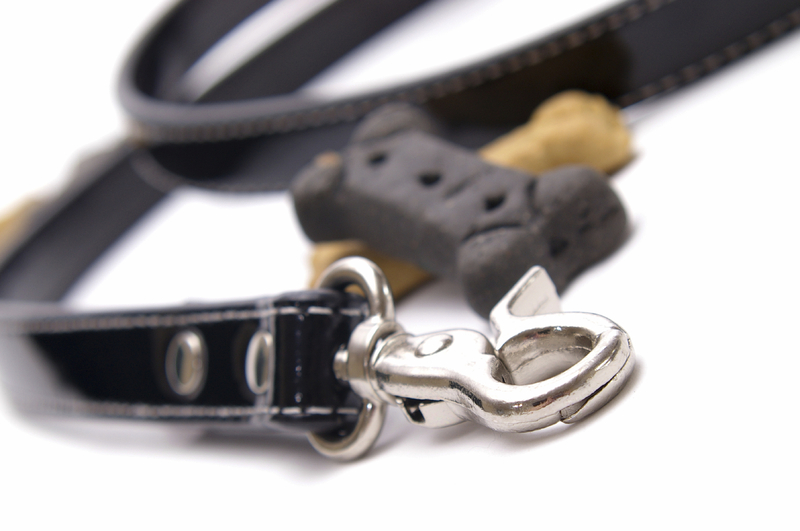 Chew Toys – Like mentioned above, dogs love to chew and therefore, destroy things. Get them chewable toys that are made of indestructible stuff. When you leave them alone after the training session with the chew toy, your dog will spend hours chewing it and be busy. However, you must take precaution and choose only those toys that are not harmful to the dog’s health. Clicker – Clicker training is a famous form of dog training that involves giving the dog an indication that it is about to be offered a treat. Clicker is actually a handheld device that fits in your palm. When you are about to treat your dog after the training session, use the clicker to make a clicking sound and then offer the treat. This is one of the fastest known training methods and brings quick results. While buying dog treats, ensure that you buy only the best quality. Compromising with the quality can harm your dog’s health. Eliza Lyttle is a pet lover and is the owner of two labradors.Lyttle is a beauty expert by profession and is a representative for www.365gorgeous.in on many beauty forums.